A 50-minute subway ride connects downtown Manhattan with the Broad Channel neighborhood in outer Queens. On each end sits a National Park Service site that showcases the diversity of what parks can be and how they’re united in common challenges. On the Manhattan end, the weathered green hue of the Statue of Liberty looms over the blue waters of New York Harbor, a beacon of hope to the world over. The hulking monument greeted more than 12 million immigrants who passed through its neighbor to the west, Ellis Island, from 1892-1954. The Statue of Liberty still serves as a reminder that we all strive for better days ahead, and for the more than 4 million annual visitors who make the pilgrimage to these iconic landmarks, it serves as the defining symbol of a country built almost entirely of immigrants. At the other end of the A train’s twisting route through the city is a much quieter place. Gateway National Recreation Area is a sprawling natural oasis. In fact, it’s the only natural National Park Service site in the country you can reach by subway. At the center of the park is Jamaica Bay, a nearly 20,000-acre stretch of water nestled between the Queens’ Rockaways neighborhood and Long Island. Manhattan’s skyline glitters in the distance, but Gateway couldn’t feel further from the 8.5 million people crammed into the city’s 305 square miles (to say nothing of the 20 million living in the larger metro area). Beaches and marshes provide respite for city dwellers as well as thousands of birds that call Gateway home or use it as a stopover on the Atlantic flyway that runs from Nova Scotia to Florida. 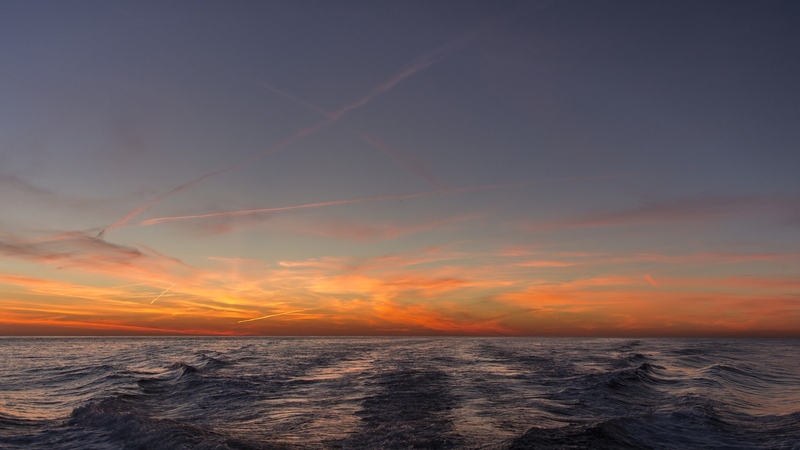 Its waters teem with life, luring recreational fishermen to its shores, just miles from the hordes of tourists with selfie sticks in Times Square and bankers hustling along Wall Street. Viewed separately, the Statue of Liberty and Gateway parks have little in common aside from a shared city. But they’re inextricably linked, being forced to deal with the impacts of climate change and sea level rise. Together, they’re growing threats that endanger the culture and history these parks were created to protect, not to mention billions of dollars in assets and the quality of life for millions. How the National Park Service prepares for and deals with those threats is a step into an uncertain future, one that could reshape the landscape for parks and communities along the coast and across the country. The water was up to here,” Rob Parrish said, holding his hand up to his shoulder. It should be noted that Parrish, the head of professional services at the Statue of Liberty, is a big dude, a former Marine standing well north of 6 feet. In the crowd buzzing around Ellis Island’s main building, he is head and shoulders above the fray, even without the construction hat perched atop his shaved head. Drawing an imaginary line out from Parrish’s shoulders to the steps of the island’s main building, it’s clear that Hurricane Sandy’s storm surge — the highest to hit New York Harbor on record — got within inches of creeping into the first floor. Parrish arrived in the aftermath of Sandy to help assess the storm’s damage and build Ellis and Liberty Island back with an eye toward the future risks that climate change poses. “For this and all future projects, climate change will be on the checklist items,” he said. That fits with the bigger picture of how the National Park Service is responding to climate change, particularly along the coast. Rising 305 feet above New York Harbor, the Statue of Liberty is arguably the most recognizable landmark in the country. 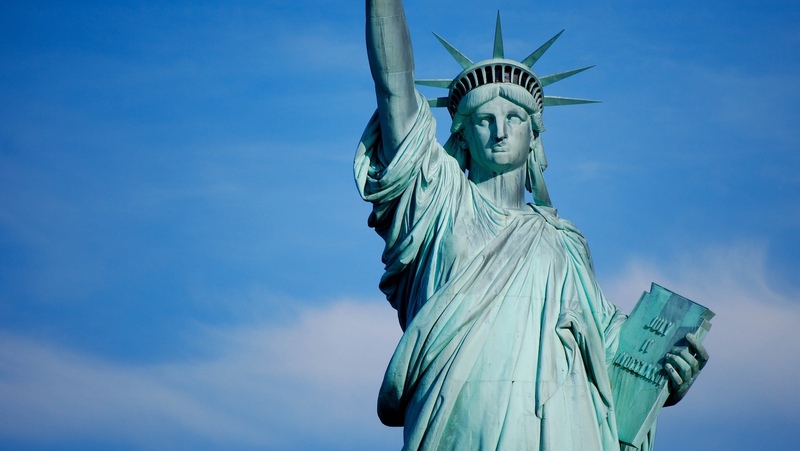 From its dedication in 1886 to today, it stands as a testament to freedom. There is no greater test of that human spirit than how we respond to climate change, and it’s no surprise that the National Park Service’s efforts to do so are so intensely focused at the statue and Ellis Island. Waters in the harbor have risen a foot since the start of the Industrial Revolution. That rise is expected to accelerate as the world warms. They are projected to be more than 3 feet higher by 2100, though that figurecould be significantly higher if Antarctica’s massive stores of ice go into a major meltdown, something not out of the realm of possibility. Add in the likelihood of moreextreme storms combined with ever-rising storm surge, and the challenges for park managers are both long-term and acute. Hurricane Sandy, which killed 147 and caused $75 billion in damage in 2012, laid bare what some of those challenges are and kickstarted the process for how to address them. 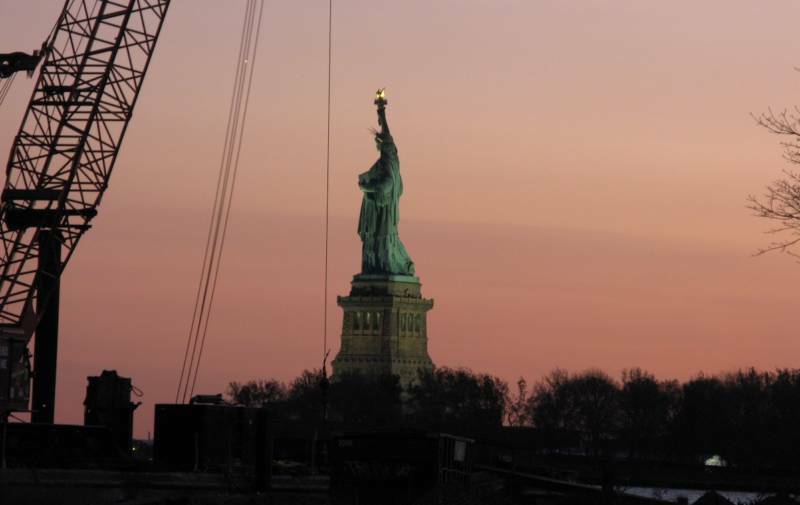 The Statue of Liberty is at the center of the National Park Service’s rebuilding efforts, serving as a potential blueprint for how other parks can meet the challenges of rising seas. Parrish’s job is to help take that model and make it a reality in New York Harbor. He knows the park’s geography intimately, from the new grass laid down (as it turns out, it’s the same turf you’ll find on an NFL field) to the location of the heating and cooling system components tucked in basements, and the threat sea level rise poses to all of them. At the root of Parrish’s job is the tension of ensuring the park’s $1.5 billion in assets within 3 feet of the current sea level are protected in a seamless visitor experience. The latter means that when you visit Ellis Island or Liberty Island, the experience is the same as it always was. “For a kid coming here today, we want them to bring their kid here 20 years later and have it look the exact same way,” he said. For Parrish and the National Park Service, it’s the efforts that most visitors will never see that will make the park enjoyable today and for decades into the future. One thing that quickly became clear behind the scenes after Sandy’s fury was that second-floor space for all the buildings on Liberty and Ellis islands was at a premium. While the areas accessible to visitors in the main building were spared from floodwaters, other parts of the building weren’t so lucky. Lower-lying structures were inundated. Waves lifted heavy wooden benches from the ground and smashed them into the swinging glass doors on the administration building lobby that had been refinished just two years prior to Sandy’s landfall, damage that’s still visible today. The basement of Ellis Island’s main building completely filled with seawater and that’s where trouble really hit home. The basement and first floor of another building housed all the electrical, heating and cooling, and communication infrastructure that the park needs to remain open. Saltwater destroyed millions of dollars worth of boilers, transformers, switchboards, cooling pipes and other equipment essential for running Ellis Island. On Liberty Island, it was a similar story, though on a smaller scale since the island itself has less built infrastructure and was “only” 75 percent inundated (as opposed to Ellis Island, which was fully submerged). The storm shuttered Ellis Island for a year and the Statue of Liberty for roughly 9 months. Nearly four years later, parts of both islands still resemble construction zones but progress has definitely been made. The steel platform houses much of heating, cooling, electrical and telephone equipment needed so that 4 million people can visit the park every year in relative comfort and safety. “In terms of money invested for the future, I doubt if there is anywhere else in the U.S. park system that’s this far ahead in preparing for sea level rise,” said Adam Markham, director of the Union of Concerned Scientists' special initiative on climate impacts. The fixes may not inspire passionate paeans to perseverance, but as sea levels rise and storm surge becomes an ever greater concern, they’re what will keep these parks open. A park service boat skips across the slate gray water of Jamaica Bay, bouncing over waves and hitting the troughs with a leaden thunk. To a landlubber, it’s bone jarring. To Jolene Willis, it’s an easy ride. Willis is an ecologist at Gateway National Recreation Area. She has the practiced squint of someone who spends their fair share of days on a boat. And that’s because she pretty much does, motoring around Jamaica Bay to monitor the marshes that are key components of the park’s ecosystem. The marshes provide habitat for 325 species of birds and teem with aquatic life. 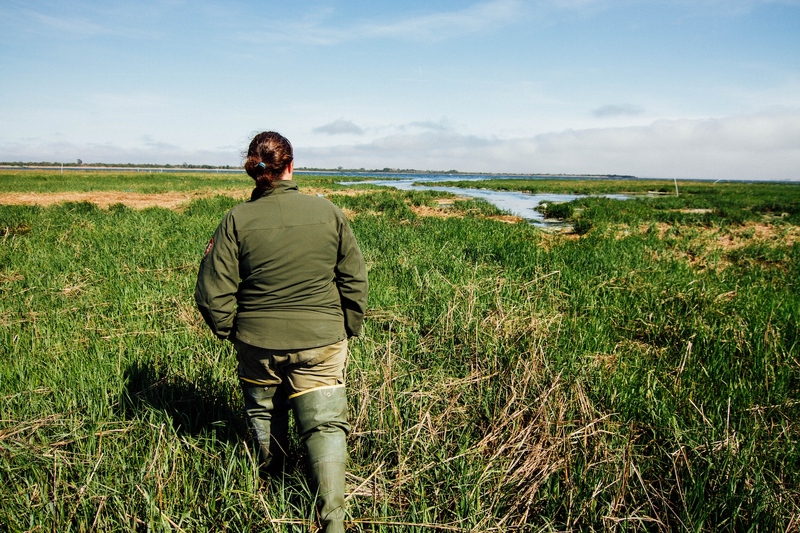 As the boat pulls up to West Elders Marsh, Willis puts on her waders and hops over the bow into thigh-deep water. Schools of mummichogs — small fish the size of a pinky finger — buzz the shallows and horseshoe crabs bump into her feet. “They’re attracted to waders for some reason,” she said, making sure the anchor lodged in the muck surrounding the marsh. Sloshing to shore, Willis rattles off the birds nesting on the highland part of the marsh — cormorants, herring gulls, black-eyed gulls, snowy egret, ibises and black-crowned night herons with a pair osprey buzzing by for good measure. If you’re an angler or birder, it’s paradise. If you could block out the view of the Manhattan skyline that’s just 11 miles northwest, and the rumble of planes taking off from nearby John F. Kennedy Airport, you’d be forgiven for thinking you’re in wilds of New York before it became the Big Apple. The bay is one of three chunks of land and water that make up Gateway National Recreation Area, which also includes parts of Brooklyn, Staten Island and New Jersey. West Elders Marsh may be overrun with natural life, but it’s a manmade creation. Decades of pollution had killed off or degraded much of Jamaica Bay’s marshes, prompting the park to undertake a multi-million dollar restoration in the mid-2000s, well before Sandy changed the conversation and provided another influx of funds for research and restoration. The bay has lost 70 percent of its marshland due to polluted waterways. Healthy marshes can provide a stopover for some of the millions of birds that fly up and down the East Coast each year. But managing this bay is about more than just coastal habitat. It’s about protecting the residents who live along it shores. Gateway is a microcosm of the challenges the entire East Coast faces from sea level rise. The park protects a wealth of natural treasures like Jamaica Bay. It’s also home to $2.7 billion in assets — buildings, historic forts, and other structures — within 3 feet of current sea levels. And while it’s far from the dense urban core of New York, there are still thousands who live in the neighborhoods on the fringes of the park. How Gateway responds to sea level rise has direct consequences for its neighbors. Sandy laid bare the catastrophic risk storm surge poses. Because sea level has risen a foot since the start of the 20th century and there’s so much infrastructure along the coast, there’s also the growing threat of everyday flooding. Sea level rise was on park managers’ minds well before Sandy, including a computer modeling effort that started in 2008. But Sandy took climate change out of the theoretical realm and into a real one. The funding that has since become available through the Hurricane Sandy Disaster Relief Supplemental Appropriations Act has also put the park’s adaptation plans on the fast track. The lion’s share of the $150 million set aside for Gateway from Sandy funds has been used for construction around the park, including relocating a number of buildings in floodplains and rebuilding marinas so visitors can access the park by boat. But Sandy also offered an unprecedented opportunity to study how natural resources were impacted, what resource managers could do to prepare them for the next storm, and how the park service could help protect people along the shoreline. “After Sandy and the damage, funds for resiliency have afforded us an opportunity to take that planning and put it into action,” Patricia Rafferty, head of the park’s resources division, said. In Jamaica Bay, most of the focus has been on marshes, which provide crucial bird and aquatic species habitat as well as natural defenses against storm damage. 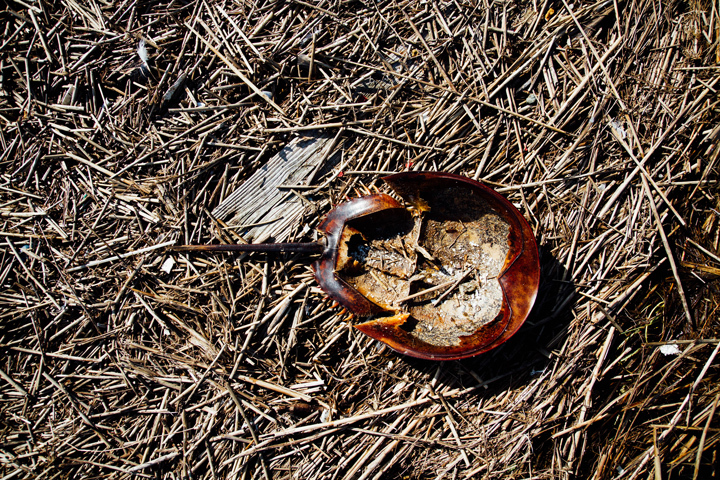 Local pollution is in large part responsible for 70 percent of Jamaica Bay’s saltwater marshes disappearing over the past 60 years. Now sea level rise is the next big threat to these marshes. So far it appears they are getting enough new sediment to stay a step ahead of rising tides. But with the rate of sea level rise expected to accelerate in the coming decades, it’s unclear if those same marshes will continue to keep pace. Saltwater marshes are by their very nature resilient to change. They deal with daily influxes of water that can regularly submerge at least part of their territory. But rising seas mean even Gateway park’s healthiest natural marsh, Joco, is facing an uncertain future. Confounding the race is the impact of local pollution and runoff. Pushing off from West Elders Marsh, Willis turns the boat east toward Joco. The red and green buoys are the only landmarks to guide Willis, and she uses the age-old sailor adage “red right returning” — keeping the red buoys to the right if you’re heading back to port (and green on your right on the way out, which doesn’t have the same ring) — to navigate through the bay. When the watery trail arrives at Joco, however, there’s not much to see. High tide has rolled into the bay ahead of the new moon, temporarily submerging the marsh under its murky waters. The only signs of terra firma are white PVC pipes used to mark sample sites poking up from the water and an osprey nest improbably perched on a barrel that had somehow alighted upright on the marsh. “Always looking that way” means the end of the marshes the park is working so hard to restore as well increasing issues for the people living on the shores of Jamaica Bay. Some of the neighborhoods there already see two nuisance floods a month. By mid-century, sea levels could be another foot higher and with that increase, nuisance flooding could increase tenfold. The same fate awaits Joco and if it disappears, so could the plants and animals that need it to survive. Losing Joco and other marshes would also have consequences for those onshore. Using Sandy recovery funds set aside by the Department of Interior, Gateway National Recreation Area has funded research to look at just how much protection wetlands can offer against future storm surge. The studies show that the main benefit of continuing to restore Gateway’s marshes would be to lessen the impact of waves, thereby lessening the destruction they cause. But the marshes are relatively ineffective at reducing flooding given the current configuration of the bay. To reduce the threat of flooding, researchers found the best route forward is to fill in parts of a shipping channel that was cut into the bay in the 1910s and has been dredged ever since. Philip Orton, a researcher at the Stevens Institute for Technology who authored the research, said he and his team have put forward that option to Gateway managers for consideration. “Not only is it a landscape that doesn’t have benefits for reducing flooding, it makes it worse,” Orton said, noting that the shipping channel essentially funnels more water into the bay. The fate of these natural and human systems and how Gateway managers respond to climate change are closely intertwined. Beyond that, Gateway has a unique place in the National Park Service, providing a natural refuge in the largest metropolitan area in the U.S.